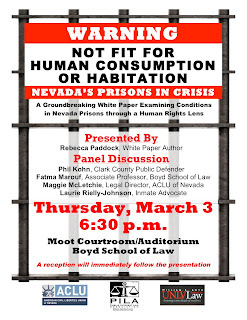 Thursday March 3rd a White Paper on prison conditions in Nevada will be organized at Boyd School of Law. It will be presented by the author, Rebecca Paddock. When should we be concerned? After how many letters from prisoners? How many anecdotes from family members? From inmate advocates? How many news stories? The state of Nevada’s prisons has been troubling the ACLU of Nevada for a long time. We have expressed concern over medical care, conditions of confinement, and treatment by guards at numerous facilities, and we filed a class action lawsuit about the medical care at Ely State Prison. With everything we had heard, we wanted to know how Nevada’s prisons objectively measured up. 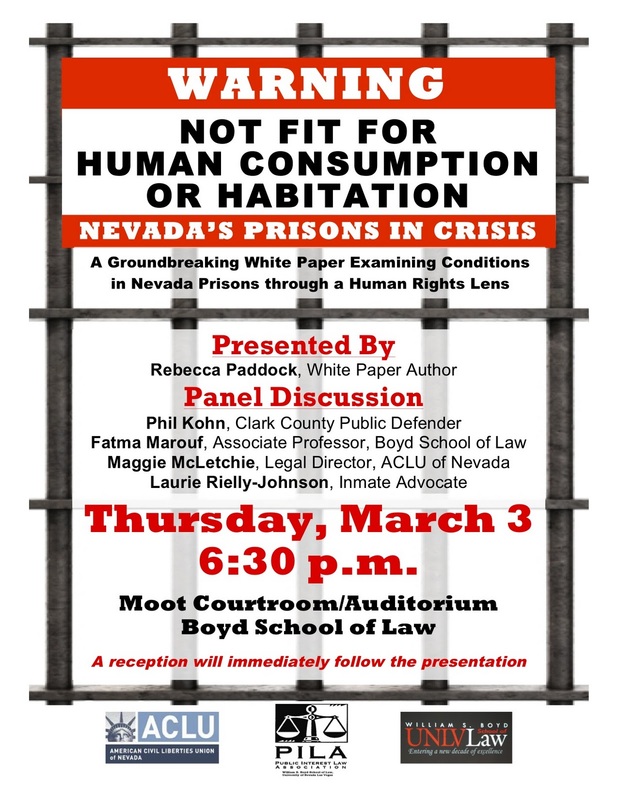 The ACLU of Nevada and the national ACLU Human Rights Project sponsored Rebecca Paddock on a Prisoner Rights Fellowship in 2010 to examine the conditions in Nevada’s prisons through an international human rights lens. To complete her fellowship, Ms. Paddock authored a white paper “Not Fit for Human Consumption or Habitation: Nevada’s Prisons in Crisis,” which soon will be distributed to legislators, government officials, professors, and the general public. TIME: 6:30 PM. A reception will immediately follow the presentation. This event is hosted by ACLU of Nevada, the Public Interest Law Association, and the William S. Boyd School of Law. 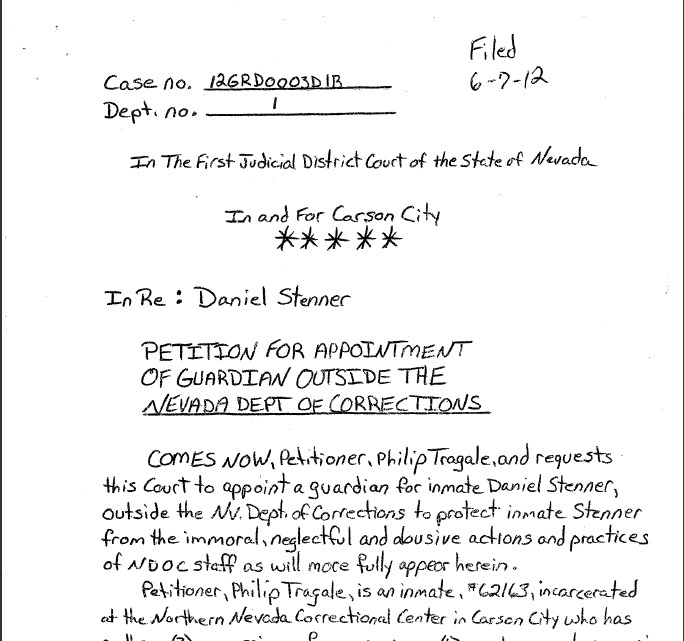 Nevada Prison Watch suspects that these actions are retaliation because Mr Wardell spoke critically on this weblog about the state of the prison and its management. 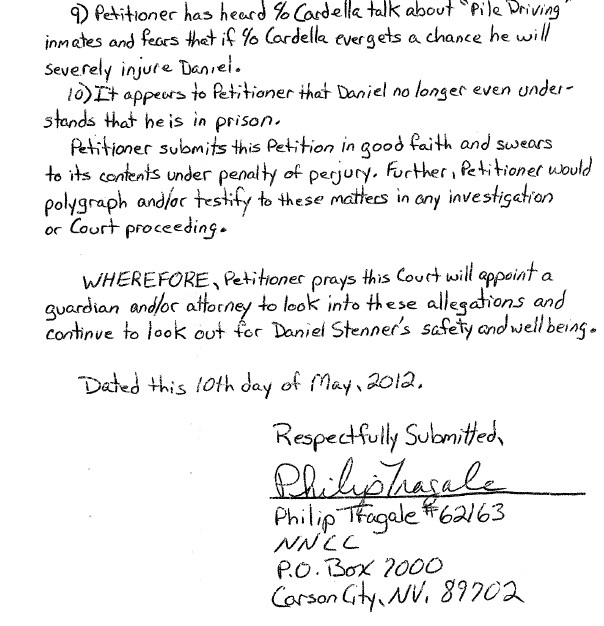 Now, Mr Wardell has to fight these false charges while preparing for release, and in uncertainty of his release date. 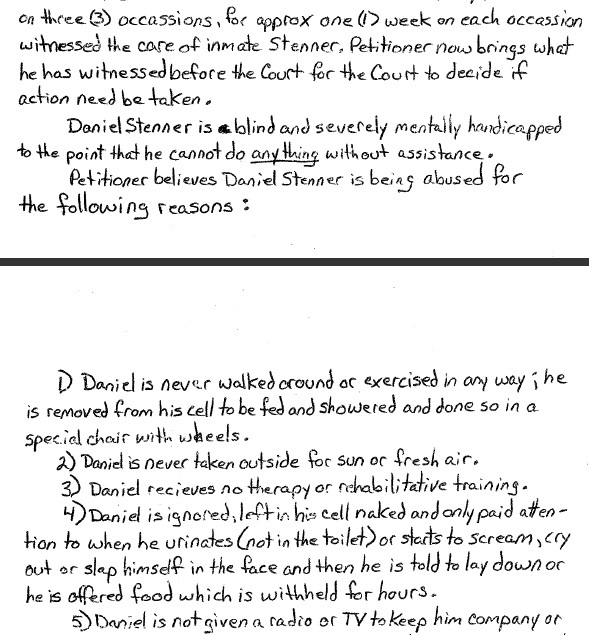 Mr Wardell should now be working on getting housing and a job, yet NDOC has done everything in its power, including illegal actions, to prevent Mr Wardell from being released, just for speaking out against dirty showers, cold food, inmates under attack and having whole units on lockdown with no programs or anything to help prisoners better themselves.